Whether you use you are a beach hut owner who uses their hut purely for your own use or who hires it out to others, a few careful purchases during the off-peak season can be more than beneficial. They can both help stock up on items that naturally suffer from wear and tear and help your hut feel fresh each year for returning guests and you too! Yep, you can help keep that wow factor with a small budget! 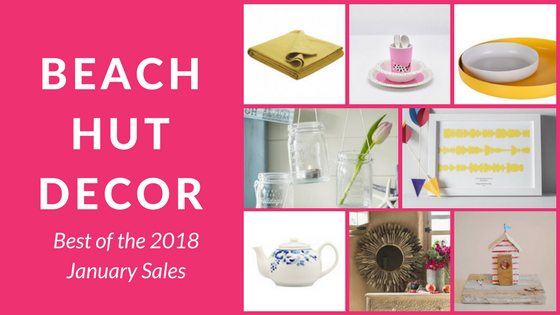 Personally, I find it hard to find specific items in styles I like, so I keep a list all year round to ‘look out for’ and the sales offer a great chance to pick these up at affordable prices too. Grab your mood boards – did someone say guilt-free shopping? 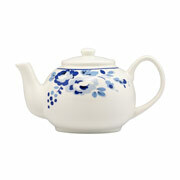 Originally retailing at £18, this classic teapot has been reduced to £8. While it is a small version, at just £8 this is a perfect way to start to add Cath Kidston china to your beach hut. And no…. Cath Kidston china never has to match. I find the more mix and match, the better! You can buy this classy teapot HERE. p,s if you are a fan of their Disney Collections, you’ll also spot some items have just been added to the sale this weekend HERE. Loving the mugs which are now just £6.50 each. While I’m very sad to hear that Hello Sunshine Designs has decided to move on, she is now offering 30% off all of her Etsy shop using code THANKYOU17. Having purchased mini beach huts, hanging fab lollies for Christmas Decor and more, I know these items always raise a smile both in the hut and at home. Beautifully made with incredible detail. You can buy this gorgeous red and white striped cornish hut HERE for £6.65 plus shipping using code THANKYOU17. For a full list of available items, head over to Hello Sunshine Designs Etsy Shop HERE. Bedspreads that are both good quality and in a great style/colouring are hard to come by. So I’m constantly scouring sales for these as adding warmth even during the summer days can help your beach hut feel luxurious. Spares are also more than handy to allow for cleaning between visits or guests. 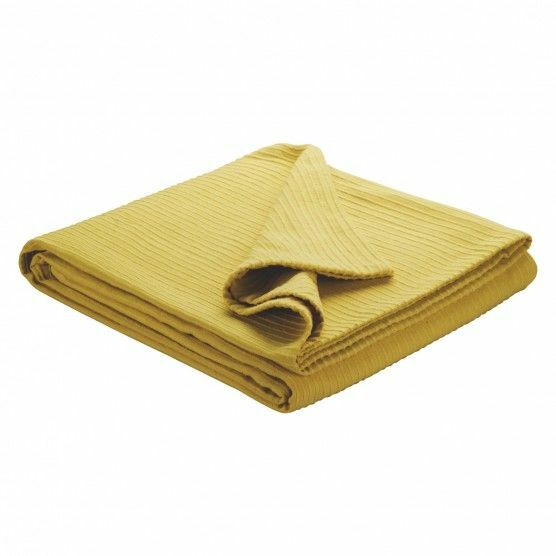 It looks like the colours yellow and mustards are here to stay for another season, so I’m loving this yellow kingsize bed reduced by over 30% to £24. You can buy this 100% cotton bedspread HERE and do check out the final reduction in the Habitat sale too. I’d recommend having a look through their home accessories and tableware sections. If you are still mulling over a statement piece for your walls, then the sales are an ideal time to pick that item up! 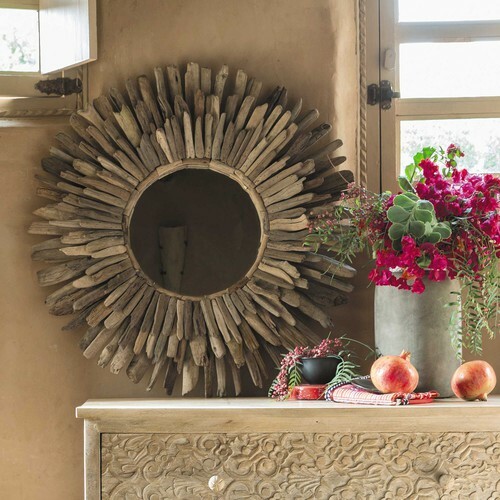 This handcrafted round mirror will help bring in light plus add some new ‘views’ within your hut. While reduced by 30%, it is still a hefty price tag at £96.60 but I’m a firm believer in ensuring you have a statement piece that you LOVE in your hut and then working your other items and budget around to fit. You can buy this wooden mirror HERE but as with Habitat, do check out the full Maison Du Monde sale as they have some items up to 70% off. While I normally favour Emma Bridgewater Melamine sets, the new Joules range of Melamine comes in three fab designs and all three are now on their sale. As the set includes cutlery this is great value at the reduced price of £13.95 per set. 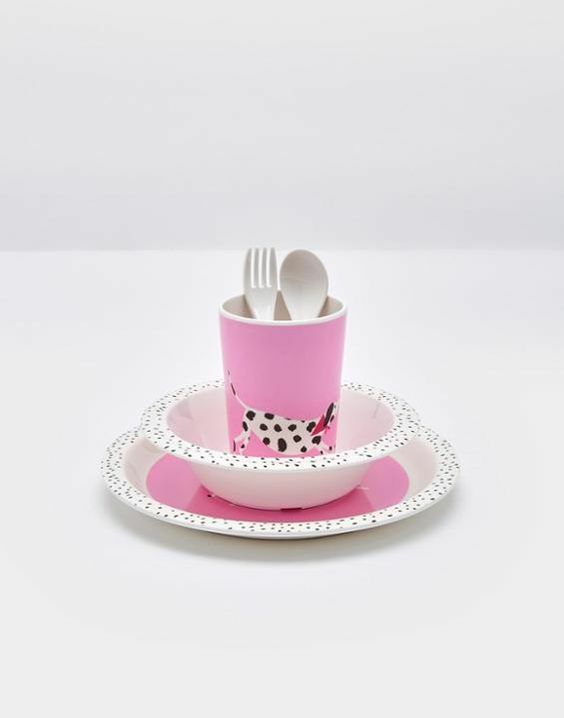 Melamine is an absolute must for little ones and a great way of adding in some ‘luxury brands’ without worrying about dropping or breakages! You can buy this full set and check out the other designs HERE. If you hire out your hut, it can be difficult to add something personal for your own visits without guests feeling they are encroaching in your space. A print like this is subtle and fits perfectly into a beach theme. You can even choose colours to fit your own style. Reduced by 20% to £20. 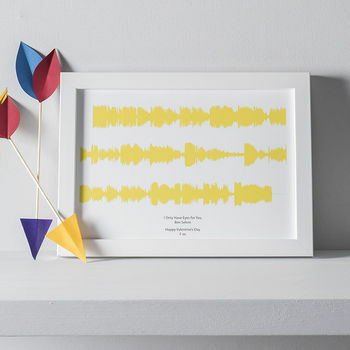 You can buy this personalised soundwaves print HERE. 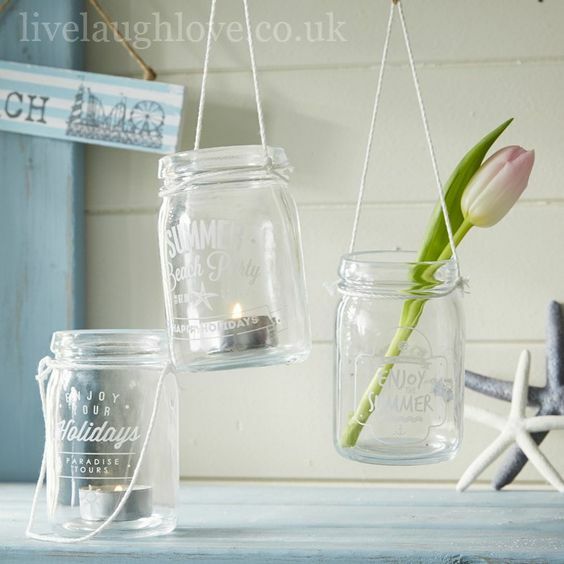 Reduced to £7 this set of three clear glass tea light jars are all beached themed with different sayings in white writing. These come with a string attached to them so you can hang them up like lanterns. Perfect for those shorter tens and longer nights down at the beach hut. You can buy this set of three HERE and check out the other nautical inspired items in their sale too. A strategically placed bright tray can really set off a room and there’s no difference when it comes to your beach hut. Show off your glassware or china by setting it out on some trays or just enjoy the flexibility of serving that much-needed cup of tea. 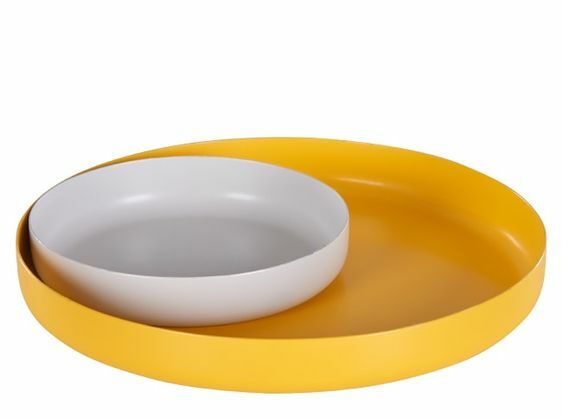 In two fab contrast colours, these two trays guarantee to bring some sunshine to your beach hut. Reduced to just £10 you can buy this set of two HERE. 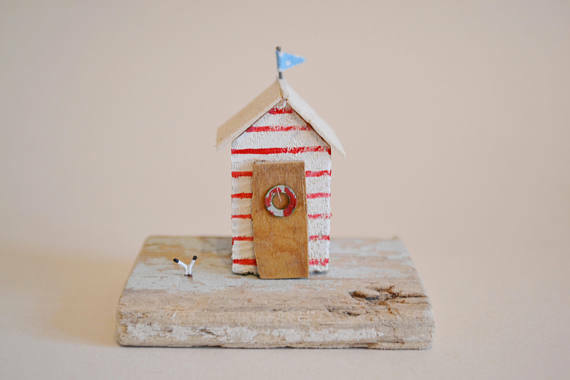 Still Looking for Beach Hut Decor Inspiration? I’d love to hear about your purchases this winter including your favourite sales. Just drop into the comments below. 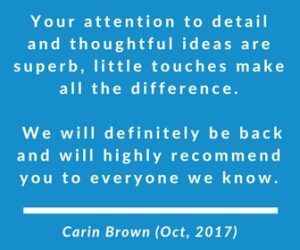 But if you are still on the hunt for some beach hut interior inspiration then do check out our related blogs and Pinterest boards below. While we may not be able to spend as much time in our huts as we’d like during the winter, we can still enjoy that time rejigging and updating our decor!